When it comes to milk, my family consumes anywhere between two and four gallons every two weeks. That's about four to eight gallons every month. That's a lot of milk—and a lot of empty milk jugs! 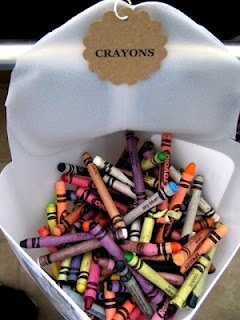 Instead of simply tossing them in the recycling bin, why not get creative and make something useful out of them yourself? 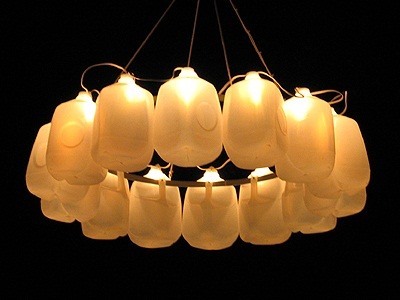 Plastic milk jugs can be upcycled into some very cool and useful items. Below are just ten ideas. Use them for inspiration and see what you come up with. 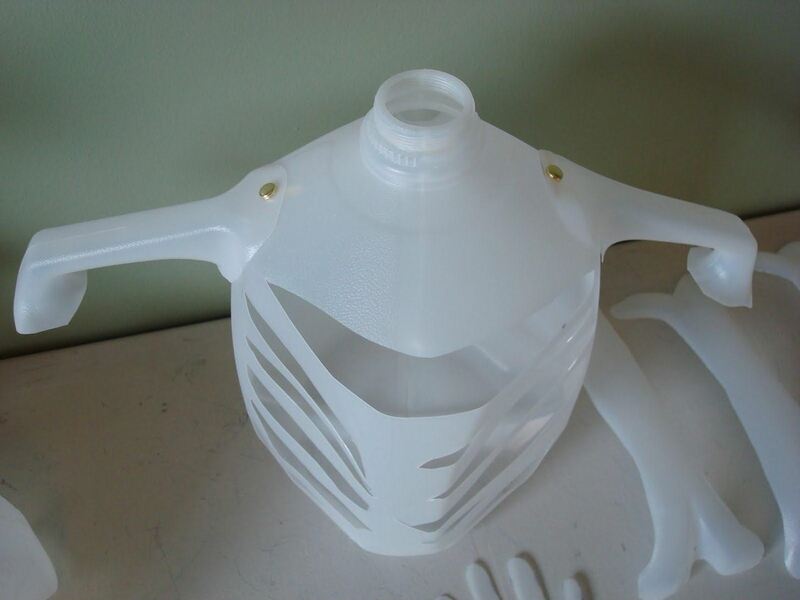 Just make sure you start saving those polyethylene jugs! 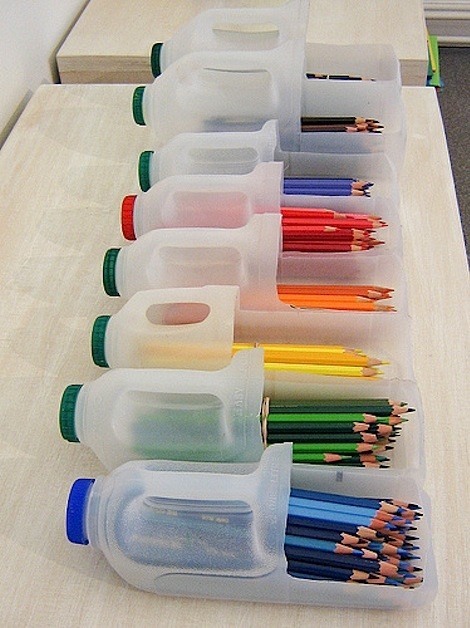 One gallon milk jugs are perfectly shaped for holding pencils, so they're excellent for organizing your art room. Need a scoop? 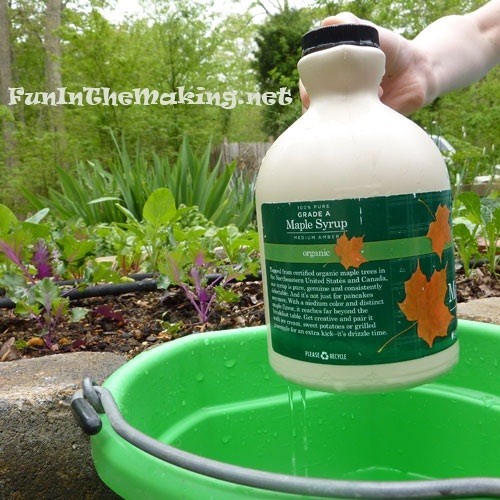 Cut up your milk jug. It's pretty simple, as you can see in the pictures. 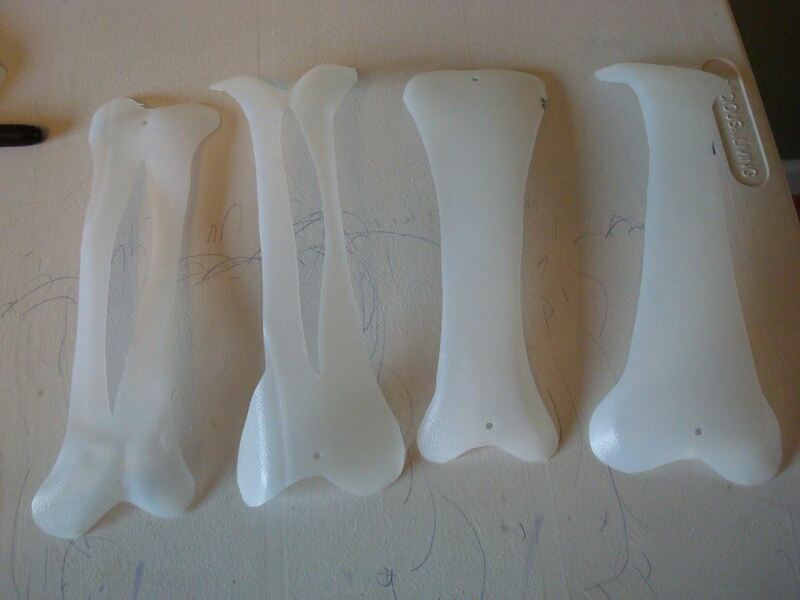 But with a few cuts here and there, you'll have a handy scoop or dustpan for the kitchen. If you have kids that are in school, then you know how unreasonably expensive lunch containers are. 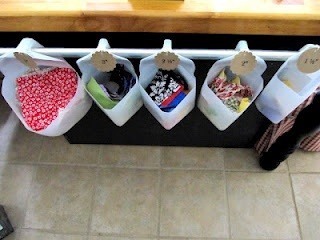 So, pack their lunch a little cheaper by making some milk jug lunchboxes. 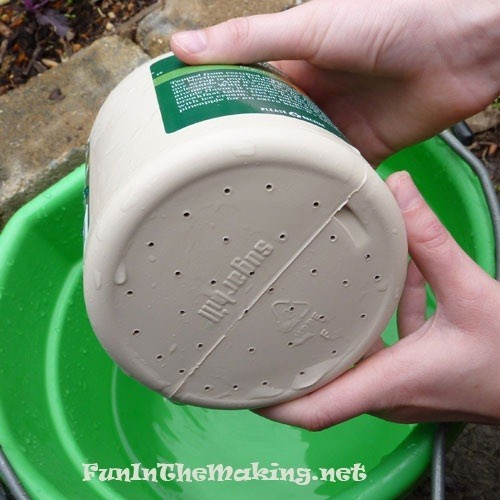 I already showed off some cool ideas for DIY planters, but here is another great one using—you guessed it—milk jugs. 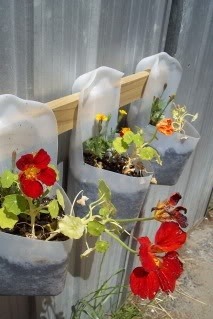 So, if you got an empty fence or lackluster barn wall, this is a great way to spice it up. 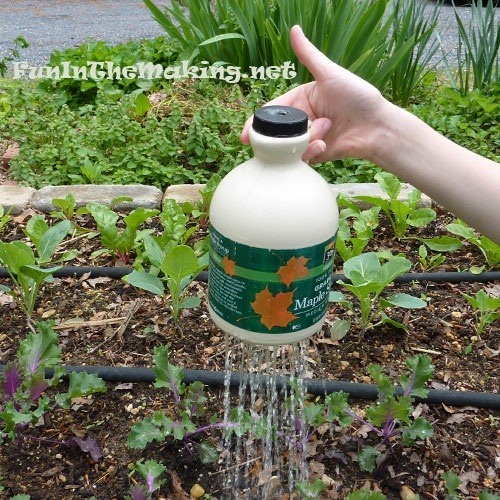 What if you want to make something outside the norm with your old milk jugs? How about a chandelier? All you need are jugs and a hula hoop. 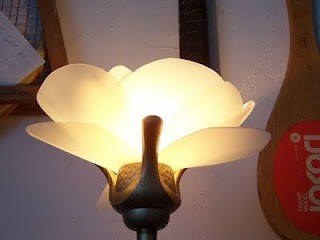 Have you ever had a broken lampshade? My sons have accidentally (?) broken quite a few, and unfortunately there isn't much you can do besides replace them. 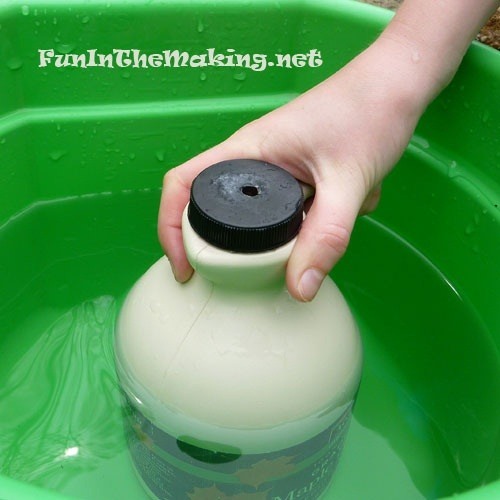 But why not save some dough and make some cool milk jug shades? 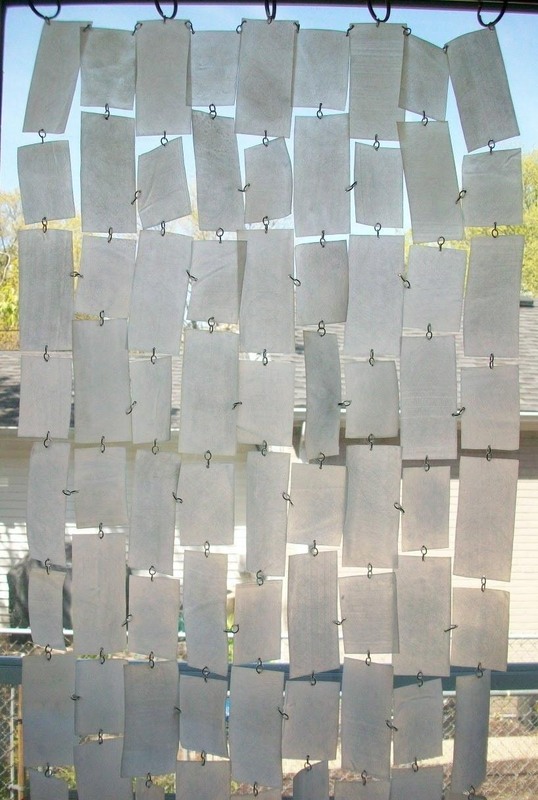 If you want to get really crafty and give one of your rooms a cool, custom look, try out this milk jug window curtain. 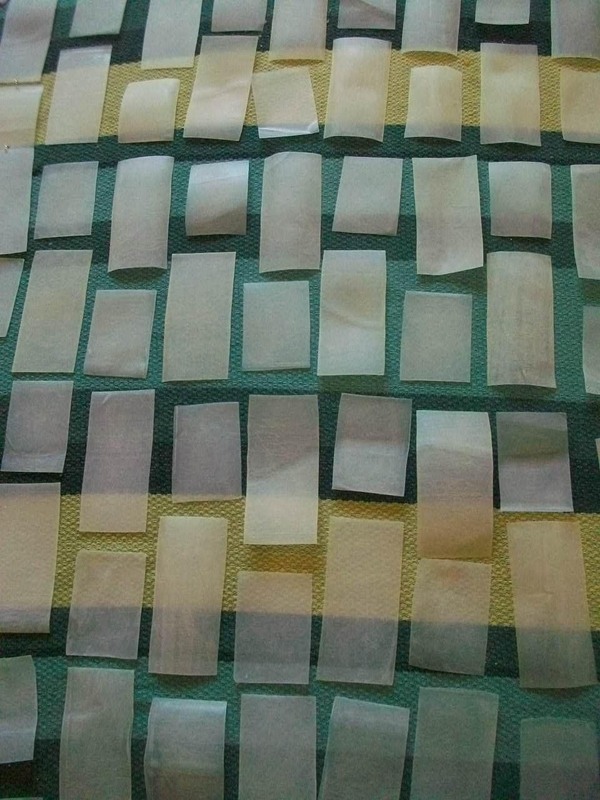 This is seriously cheaper than buying curtains at the store. Way cheaper. You can even custom decorate them. 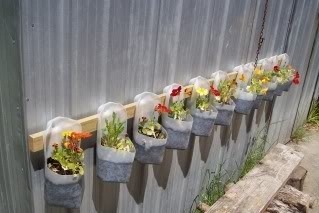 If the fence planters aren't your thing, maybe these miniature milk jug greenhouses are. 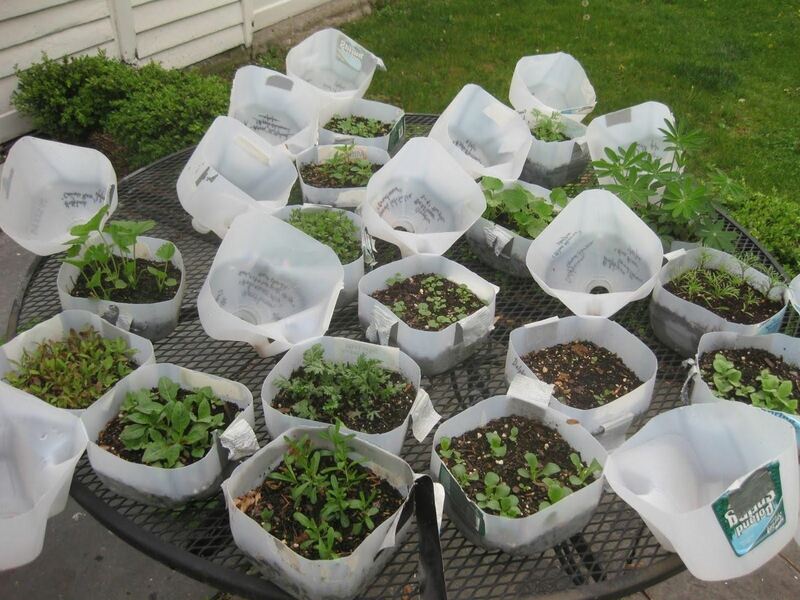 They don't look as cool, but there serve a specific purpose, and you can grow things in winter for use in the spring and summer. 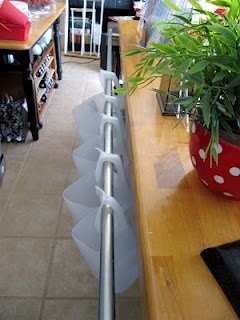 Using a curtain rod (and of course milk jugs), you can make this nifty under-the-counter sliding storage bin system. The added paper towel roll is a nice touch, making this one a multi-tasker! You could also use it as a kitchen towel rack. This one is more for fun than practicality. 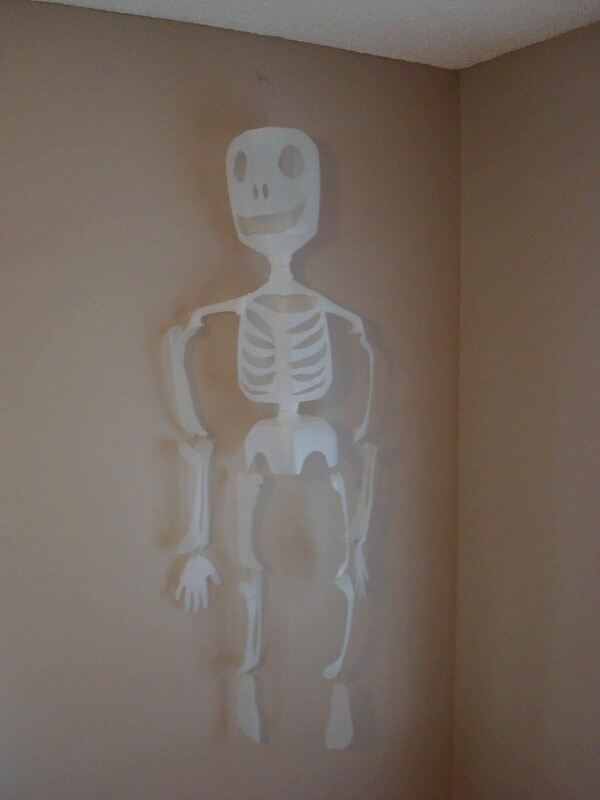 And what's more fun than a milk jug skeleton? 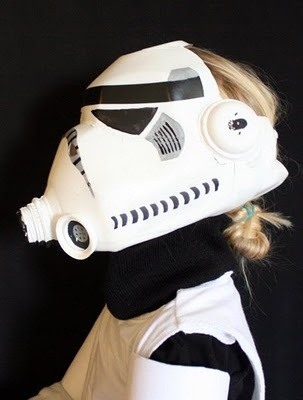 This is a great idea for your next Halloween party. October is only a couple months away. 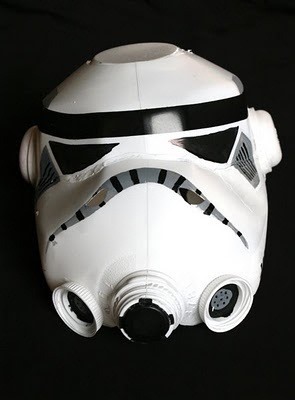 Still on the Halloween theme, this DIY Stormtrooper helmet is quite possibly the best Star Wars costume from a milk jug ever. Well, maybe it's the only one from a milk jug, but that's just because it's freaking awesome. 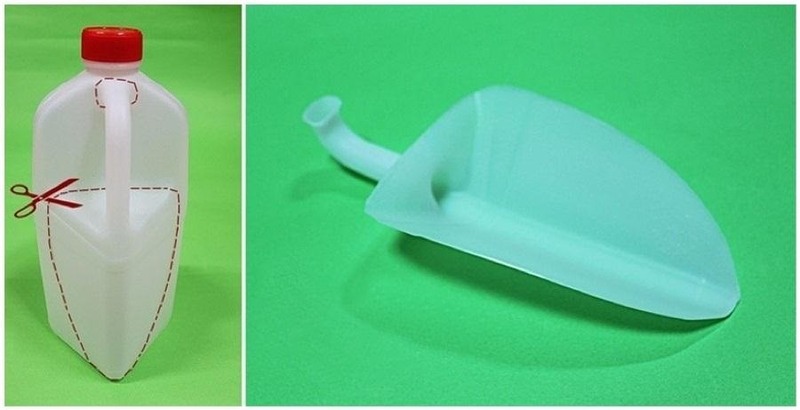 If you need a good watering system for your garden, try out this ingenious waterer that uses the same principles as a straw. 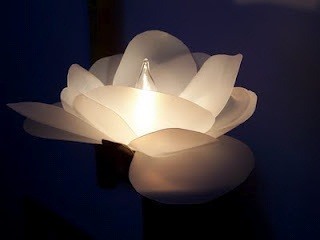 This isn't technically made from a milk jug, but you can definitely use one instead. 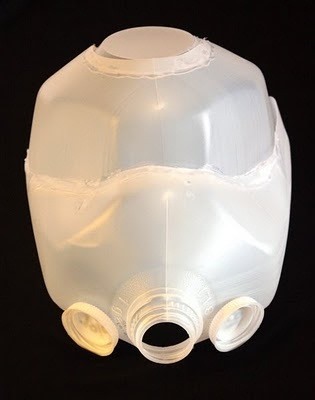 To make it work, you simply drill some holes in the bottom of your jug, and then one in the lid. 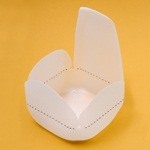 Next, fill it up with water by placing it in a container without your thumb over the lid hole. When the container is filled up, place your thumb over the lid hole and remove it from the water. Then, simply remove your thumb for the water to fall out the bottom. If you want it to stop flowing, just replace your thumb. It's that simple! 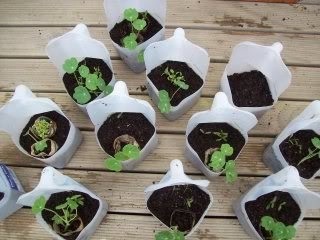 This would be a good idea for little kids who tend to over-water. 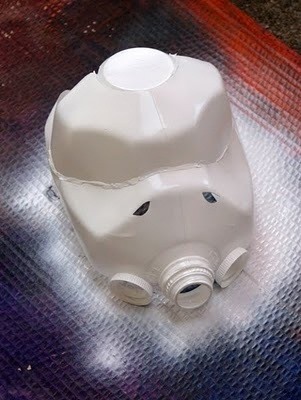 Can you think of anything else cool to make out of old milk jugs? Tell us about it in the comments! lol cool! 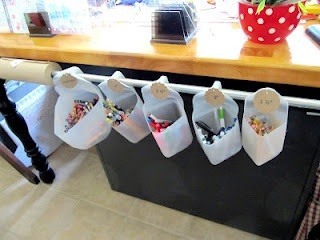 im considering the pencil holder since my pencils are EVERYWHERE.